Writing a [script] that within months becomes a widely released film is like Ayatollah Khameini taking a…call from me and agreeing to dismantle Iran's nuclear program: impossible…so I [wrote] this story as an e-book, which can be released instantly. Yesterday world powers failed yet again to stop Iran’s nuclear program, but author Noah Beck intends to halt Iran’s quest for nukes using a novel approach (literally). Last March, Beck concluded that the Iranian regime was manipulating the P5+1 talks to buy itself time to reach the nuclear finish line, so he dropped everything and became a typing hermit in order to churn out -- in a breathtaking ten weeks -- an 84,000-word novel about the Iranian nuclear threat. Appropriately titled "The Last Israelis," the cautionary tale about a nuclear Iran takes a suspense-filled ride aboard the Dolphin submarine. The mightiest vessel in the Israeli Navy, the Dolphin is Israel’s "second-strike" answer to the existential threat posed by Iranian nukes. How does a layman write a 263-page doomsday novel about the crew aboard Israel's powerful, German-made, diesel-electric submarine? In late March, the first-time author began watching submarine movies and was soon on a flight from the U.S. to Israel. "I was amazed at how flat hierarchies in Israel are – even with something as rigid as the military. With a few friendly introductions, I was talking to the former head of the submarine force, who had himself captained countless missions." After publishing his novel in record time, how does Beck think it will make any difference? “There’s some great bipartisan congressional leadership on the Iran issue. So if I can get staffers for senators like John McCain, Marc Rubio, Bob Menendez, or Joe Lieberman to read the novel today, that could quickly change the public debate on this issue. Am I being unrealistic?” he asked quixotically. For more information about Noah Beck and “The Last Israelis,” visit http://www.TheLastIsraelis.com. 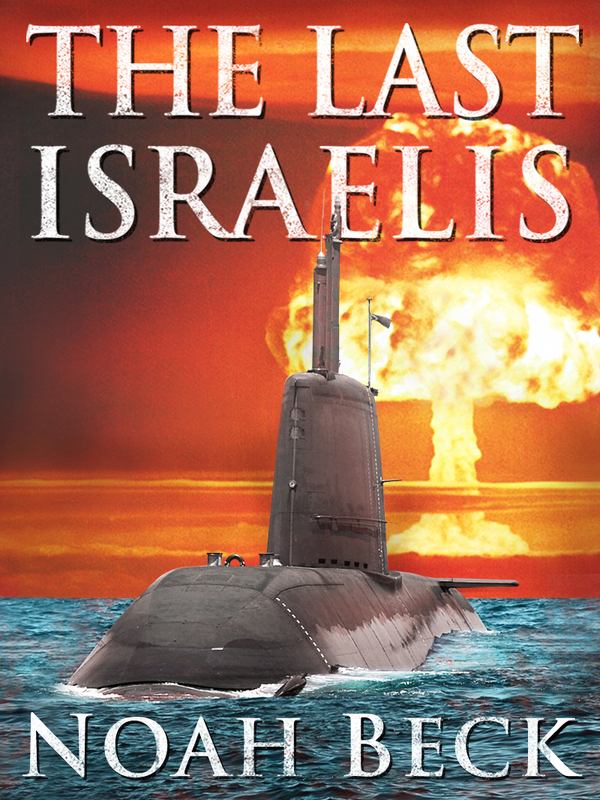 The Last Israelis -- a military and psychological thriller about Israel's Dolphin submarine and Iran's nuclear weapons.Feel the dramas and dilemmas of 35 submariners aboard Israel's nuclear-armed Dolphin submarine. How will the ethnically, ideologically, and religiously diverse crew unite enough to overcome countless challenges and the biggest decision of their lives?